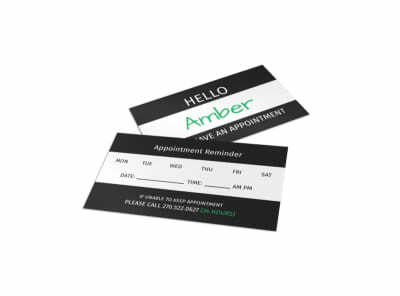 Appointment no-shows are productivity and profit killers; nip them in the bud with business service reminder cards you customize using our professionally designed templates. Our business reminder card templates are fun and easy to use, even if you have zero design experience. Add your own elements, including photos, graphics, and artwork, and then use our online editor to make the design truly yours. Once you zero in on a design that works for you, print your reminder cards using your own equipment, or trust our printing pros to render professional results on high-quality paper stock using premium inks.